Automakers always say one of two things about electric car customers. Either they want something that's radically different-looking so they can stand out or they want something that looks like a regular car. I think anybody who's buying a plug-in car today wants to stand out... at least a little. But it's cheaper for automakers to make an electric car that's based on a pre-exisiting gasoline-powered car. Case in point... 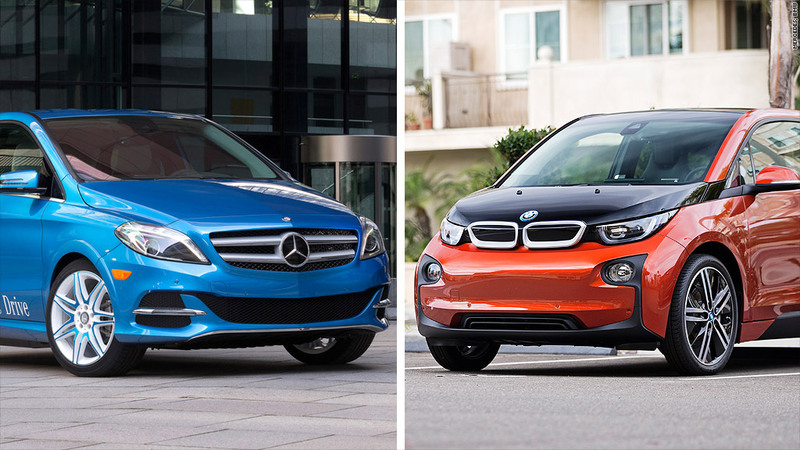 The BMW i3 vs. the Mercedes-Benz B-class electric. One's all-new. The other is based on an existing European model. One looks like a rolling piece of contemporary art. The other looks like the automotive equivalent of a comfortable shoe. One lets you know, at every turn, that you're driving an electric car while the other would just as soon you forgot that.